Disclosure: Thank you to Disney Social Media Moms for inviting us to attend the conference. While we did pay for our trip, it was offered at a discounted rate on behalf of the conference and the sponsors. All opinions are our own. We just returned from a wonderful Disney Vacation! 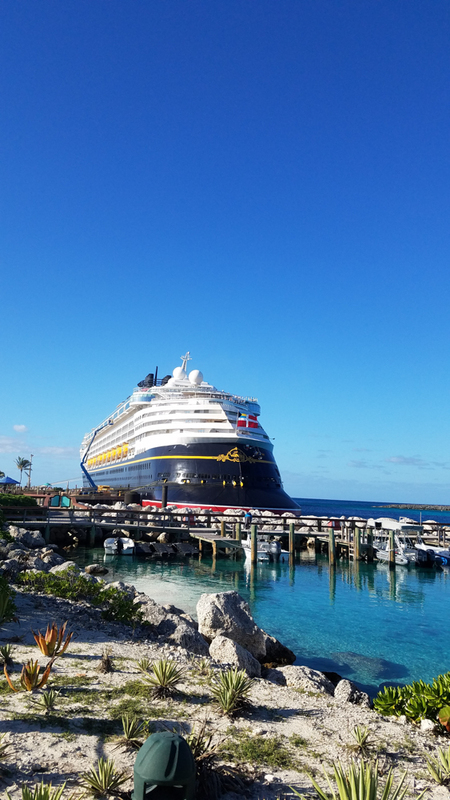 We took at 10-day trip to both Disney World and sailed on the Disney Wonder Cruise to the Bahamas! 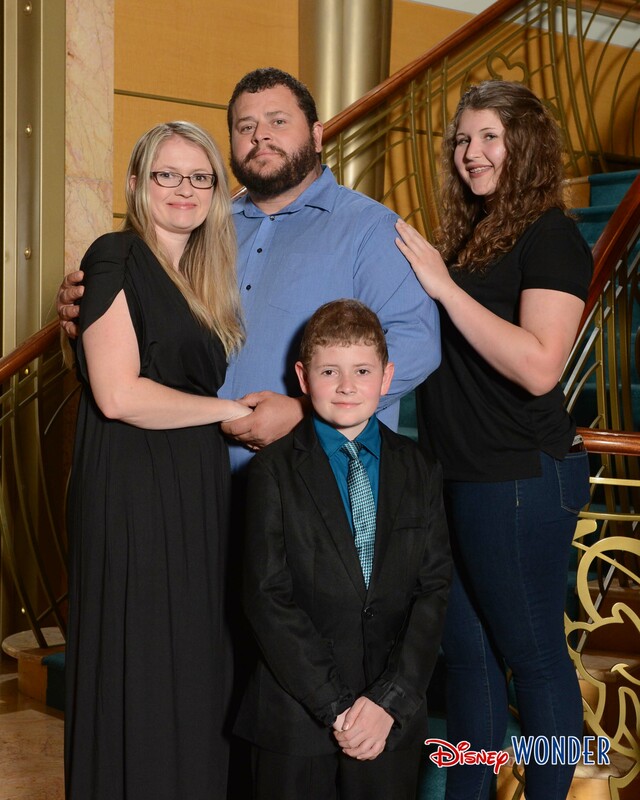 We’ve actually never cruised together as a family so this experience was new to us! I tried to do as much research as possible but found things out as well during our cruise! 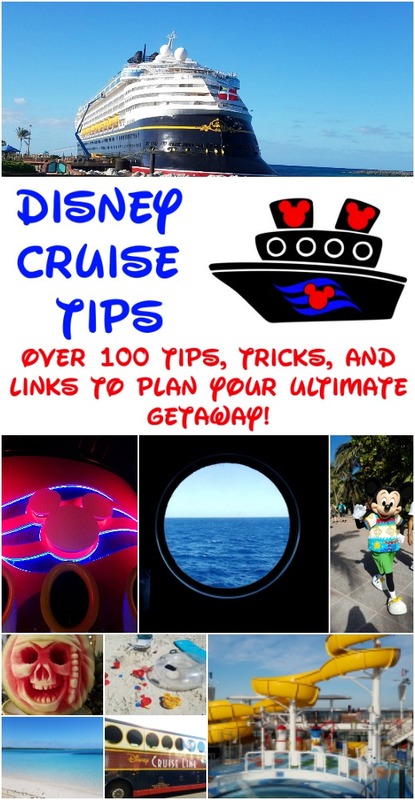 I wanted to share all of our tips for first time Disney Cruisers. 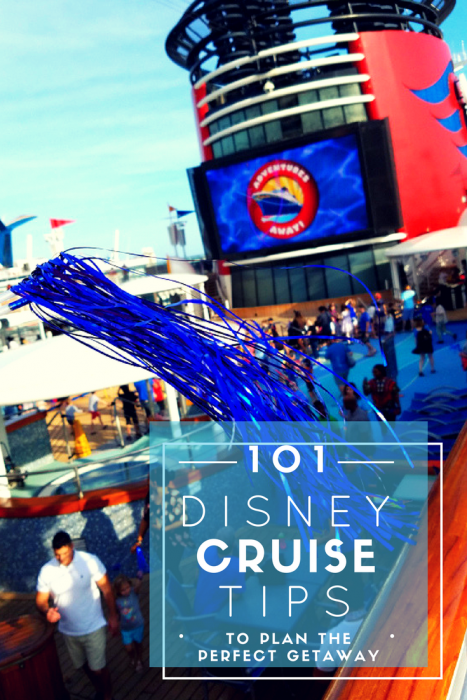 First, here are our thoughts on the Disney Cruise. We weren’t sure what to expect since we’ve never cruised with them before and we’ve actually never taken a family cruise together. We did do as much research as we could but we were still surprised at how amazing our cruise was. 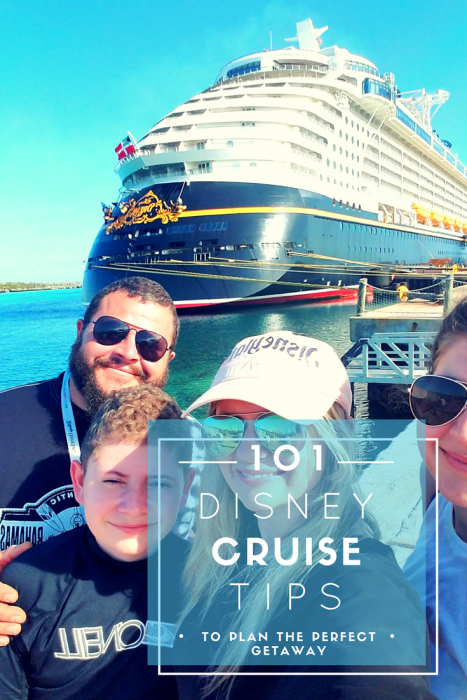 We truly loved our Disney Cruise and when you break it all down, the price was definitely worth it (read below for our price breakdown). We are definitely looking into booking our next Disney Cruise but the question is, to where? 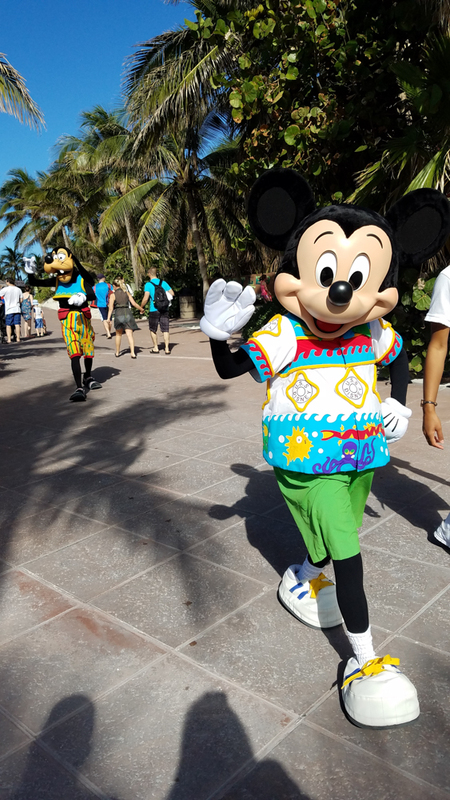 Disney Character experiences – Cruises will have your Disney classics like Mickey, Minnie, and the princesses! Some cruises even have special characters like Star Wars and Avengers! All the food you can eat – Let’s price this out, shall we? At Disney, a good buffet is about $50 per person. If you did that for a family of 4 for 3 meals a day, that would be $600 a day alone on food. Put that on top of a nice “hotel” stay and you are truly getting your money’s worth! Broadway-caliber shows every night – This is definitely a bonus to cruising with Disney as the shows are amazing! 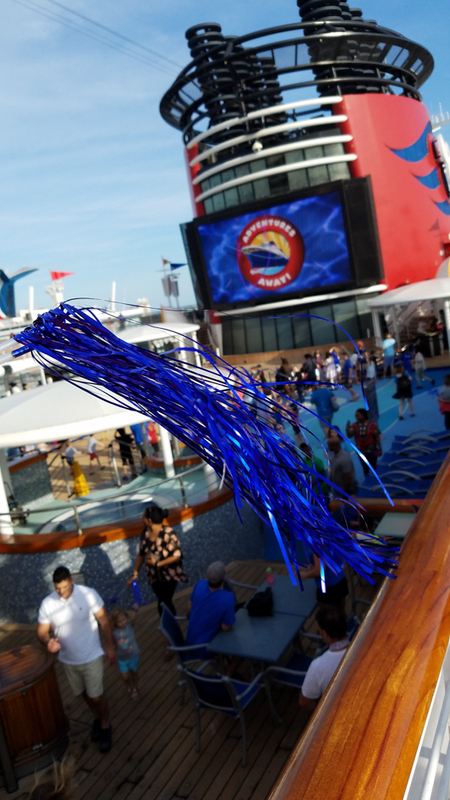 That incredible Disney service that everyone loves – We were blown away by the service we received on our ship. Everyone was kind and accommodating. Our room hostess even cleaned up after my kids! 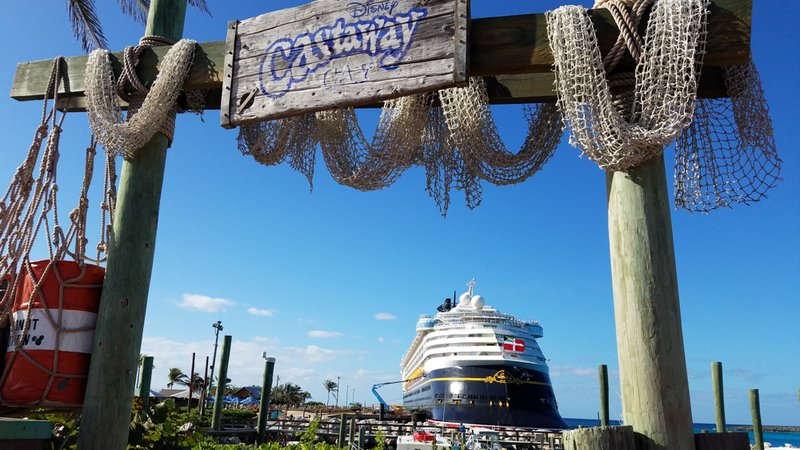 Castaway Cay – If you are cruising in the Bahamas you’ll more than likely have a stop to Disney’s private island, Castaway Cay (pronounced Castaway Key in case you were curious). Trust me, you will not want to miss this opportunity! The island is intimate and incredible. 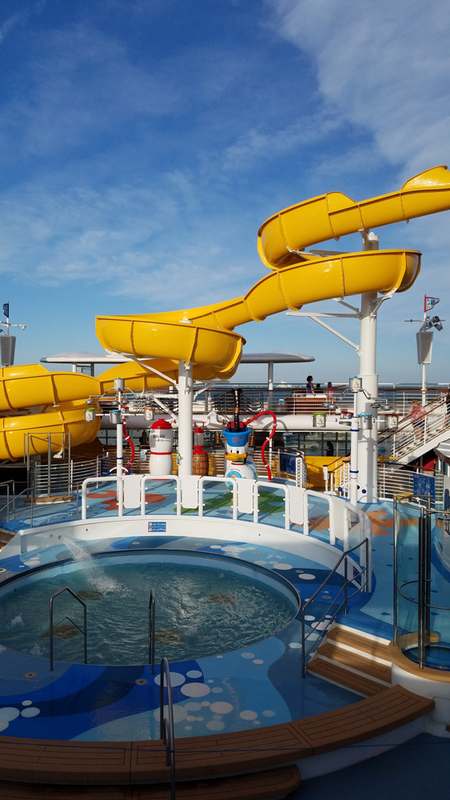 Pools and recreation – While at sea, there are plenty of things to do including pools, water slides, a sports arena, shuffleboard, movies, etc. You and your family will NEVER be bored! You can book through your Disney Cruise a Travel Agent or https://disneycruise.disney.go.com. If you live in Florida, they offer resident discounts. They also offer military discounts. If you book your trip through a TA, often they offer a bonus of an online credit. within 60 days of departure, cruise prices fluctuate considerably based on cabin availability. Sometimes you can find packages that include land and sea when you book your cruise. TIP: If you extend your stay to include Disney World, I recommend putting a day of rest in between the parks and the cruise. Enjoy your resort’s amenities or even take a nap. Your body will thank you for it! 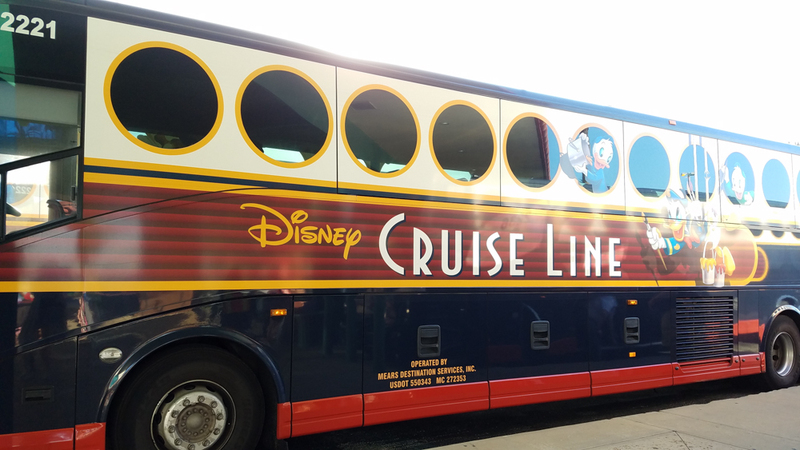 There is a bus you can sign up for if you are staying at the WDW resort before or after your cruise. You can sign up here: https://disneycruise.disney.go.com/faq/booking-reservations/air-ground-transportation/. While it does cost a fee, we felt it was worth not having to mess around with renting a car. If you need to rent a car, you can do so at MCO, Shades of Green and Port Canaveral. 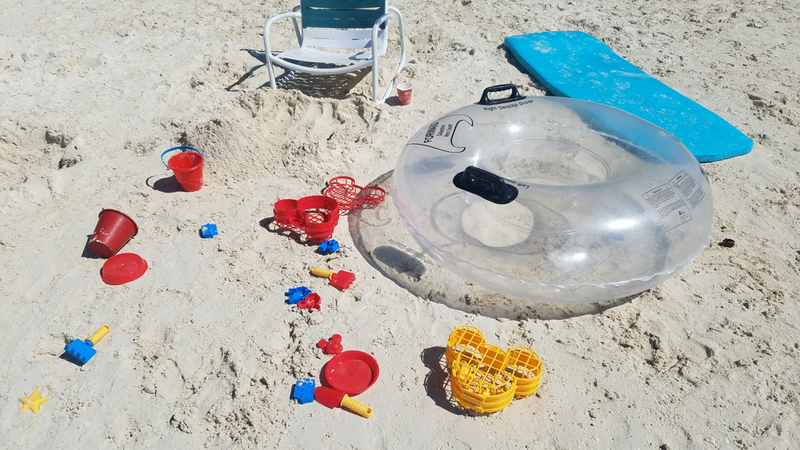 If you realize you forgot something, you can order Amazon Prime Now and have an order within 2 hours delivered to your resort. Everyone in your family should download the Disney Cruise app onto their phone or tablet. Once on the ship, tell your family to initiate airplane mode then open the app on the guest wifi. TIP: they have wifi you can purchase, the first 50mbps are free but if you are able to just check out, I highly recommend disconnecting during your cruise. TIP: There are “wave phones” in your room, those work for communicating as well. If you are a light sleeper, download a white noise or fan app prior to boarding the ship so that you can sleep with noise. Save money by purchasing Disney Giftcards with your Target Red Card or purchase them at Sam’s Club. By purchasing at these retailers you will save at least 5%. Then, pay your trip with these gift cards! To find other ways to save money (directly from Disney), visit: http://disneycruise.disney.go.com/special-offers for any current deals. There are times when special rates are released to fill-up the remaining staterooms on specific sailings, usually 30-60 days before a cruise. However, booking a Disney Cruise Line vacation early is the best way to get the greatest value because rates increase as the ships fill up. In other words, the earlier you book, the deeper the discount. To obtain an even greater savings, it’s always a good idea to avoid peak periods like summer, holidays, and spring break when lower prices are not typically available. .
Pre-order groceries for the day you get back! Did you know you can pick up groceries from Walmart? They actually bring you your groceries to your car! Sign up here and get a FREE $10 credit! If you don’t have a locked mailbox, you should put your mail on hold while you are away. Remember to rest! I recommend at least one day of rest before heading back to work and school. Put gas in your car before you leave for your trip. Motion sickness prevention items such as ginger gum , Bonine , Dramamine etc. I love Sanuks and found these for under $20 on Amazon ! Sand toys for the kids for Castaway Cay. Though, they do have some toys you can can purchase on the island. TIP: You can buy an alternative to Go Pro with waterproof case for less than $100 on Amazon. You can make and bring magnets for your door! Order them from Etsy or make them yourself! We printed ours then laminated them with this machine . It must be a magnet, you can buy magnets with adhesive here on Amazon. All of the food is great but you can always ask your server for a recommendation. If you have a food allergy, let them know and they will be happy to accommodate. Order all of the desserts at dinner because you can! If you aren’t that hungry, you can order dinner from the kid’s menu or of course split a meal with someone else. Check out the bottle package when you get to your first dinner. You can get a bottle of wine for dinner every night for a discounted price. Room service is FREE, just be sure to tip your room service waiter. *Some drinks do include a fee, be sure to check the menu. Early in the morning or right before bed, order a carafe of coffee and the “all hands on deck” (cheese plate). It’s a great way to start the day! Your breakfast menu is on a card that you can put on your door the night before (look for it in your desk or on a table). If you feel like snacking throughout the day, check for the buffets or snack stations throughout the ship. If you prefer a flavored creamer, bring your own! I brought these creamer cups and they were perfect. There is a coffee shop on the ship. The coffee costs money but the pastries are free! Explore the ship before the mandatory safety drill! TIP: Don’t be late for the drill, they will have to wait for you! After the drill there will be a sailaway party, head up to the top decks for all the fun! Be sure to keep your navigator or app handy to keep track of when things are happening on the ship. There are plenty of things for the kids to do on the ship. When you check in, you’ll be able to sign your kids up for the clubs and daycare. Check out the adult only areas including the hot tubs! Check out all of the evening shows and head to the adult only clubs on board if you can. If you have a Pirate Party, you can schedule time for your little pirates to get a pirate makeover at the Bibbidi Bobidi Boutique that day. 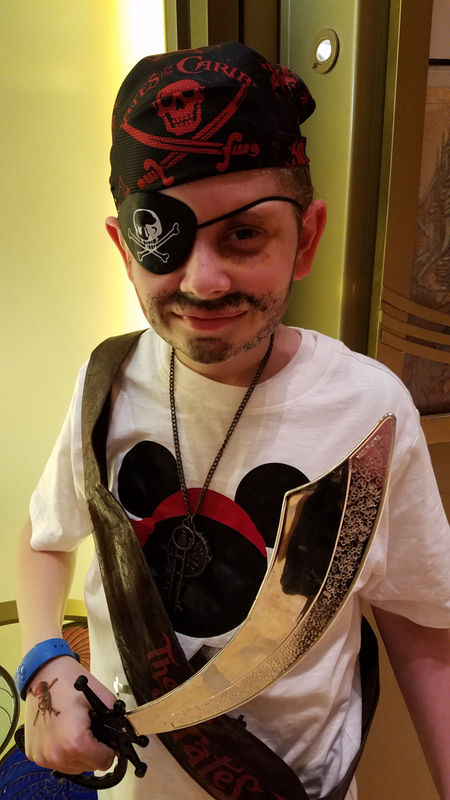 TIP: You can bring your own pirate gear (eye patches, bandanas, etc) but everyone will automatically receive a Mickey Pirate bandana. At the pirate party, the best place is to be is on the highest level outside on the starboard side of the ship (right side). You’ll get to see the whole fireworks show from there! They offer a “drink of the day” for only $5! Just ask your bartender! There are “clubs” that your kids can go to where they can check themselves in and out. My son had so much fun, at about 12:15 AM every night we had to finally let him know we were exhausted and it was time to come back to the room. The clubs will also offer their own activities for the kids to do. Teach your kids how to navigate the ship either before you get on or once you are on (port, aft, midship etc). 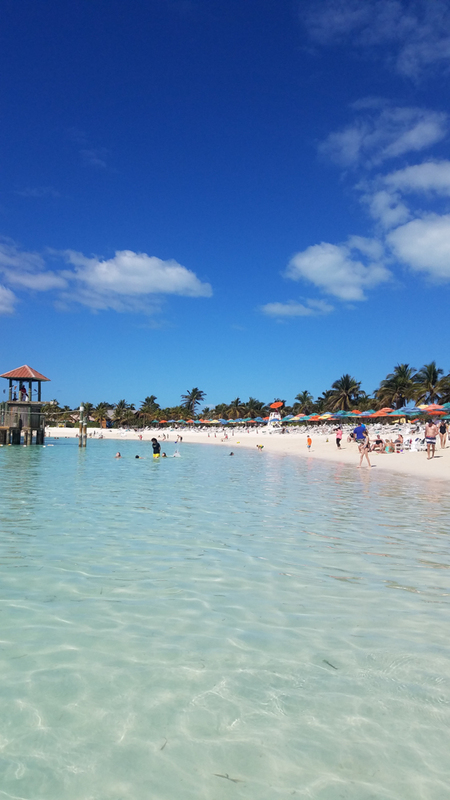 There’s a teen only excursion on Castaway Cay that looked like a lot of fun for only $50! Older kids can enjoy the pool and the slides without mom or dad. If your kid is close to the entry age for Vibe (13 going on 14), you can ask if they have room for your child and they may have the ability to sign a waiver and allow them to do both Vibe and Edge (we have done this). 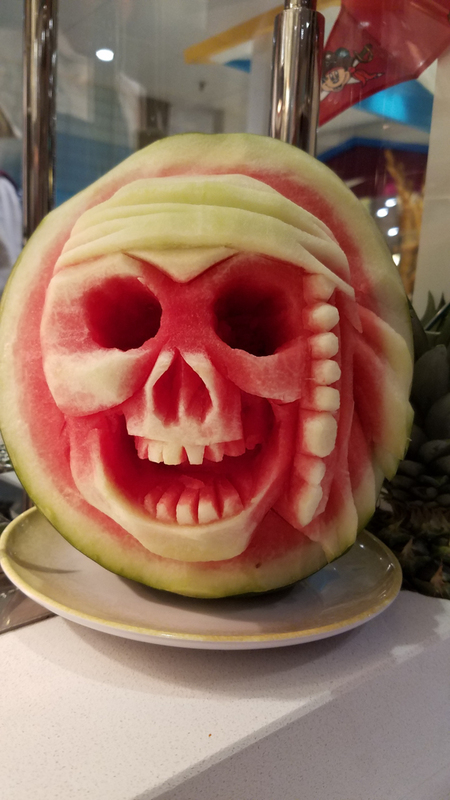 There’s always something to do on the ship! The Disney Cruise App and the Disney Cruise Navigator will tell you what activities are available each day. Disney offers award winning shows on their itineraries. We recently saw Beauty and the Beast and it gave me goosebumps, it was that good. Senses Spa is for those 18 years and older to enjoy. The services include gym, rainforest showers, saunas, massages, acupuncture and more. These do cost extra but we did the massages and I would gladly pay for one again! Eating is definitely an onboard adventure. You can enjoy the buffet at Cabanas and you can also enjoy the themed restaurants on each of the ships. You can also enjoy unlimited ice cream at Eye Scream! Enjoy all the Disney movies! Did you know you can watch movies that are currently in theaters right on the Disney cruise ships? If classics are your favorite, you can watch the in-room On Demand for all of your favorite films from Disney’s animated classics to your favorite Marvel movies! Meet Characters – You can meet the characters on the ship at different times. Know that to take photos, the photographers will typically only use their own cameras and provide pictures as part of the package you purchase. However, you can see if someone else can take a photo on your phone or camera. The last night during the Farewell Party, you can also get all the pictures you want with many of the characters using your own camera. Did you know you can ship items to the ship before you leave? Just call Disney Cruise Line and they will walk you through the process. Each cruise has a Facebook group where you can connect with other cruisers on your ship. Simply search for your cruise and date. Look into signing up for Fish Extenders prior to getting on the ship! You can do this in your facebook group. Fish Extenders are gifts that you exchange anonymously while on the ship. 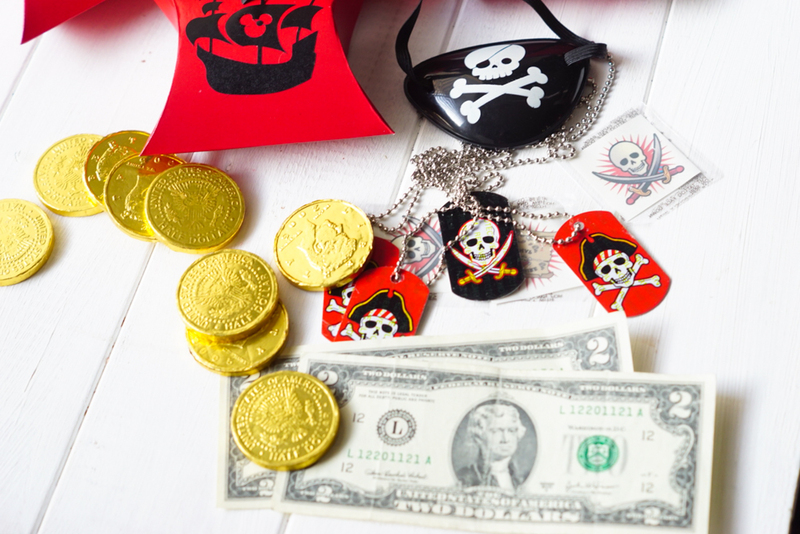 Check out this Pirate one we put together, here: Disney Cruise Fish Extender Pirate Booty and Party Favor Gifts. Didn’t pick an excursion before you left? Stop by the port adventures desk on level 3! There are laundrettes throughout the ship and are only $2 a load. We loved getting to do our laundry on the last night and not have to pack dirty clothes. Plus when we got home we had minimal laundry! Your cruise may have a formal night (or an optional formal night), be sure to look at the cruise agenda before you head off! Triple check that you have everything out of your room! TIP: Take an inventory of what you brought on the ship and what you are leaving with including pictures of all of your bags. This way you won’t forget anything! Did you leave something on the ship? 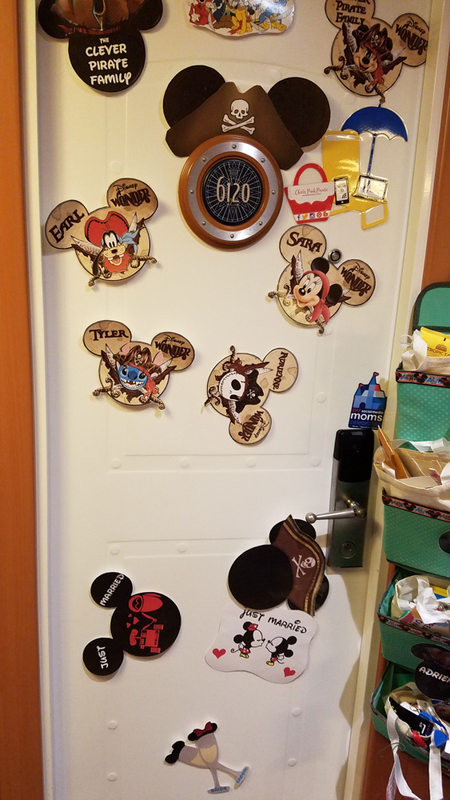 We found the DCL Lost and Found to be quite helpful after we had already returned home. We left an iPad on the ship and they shipped it back to us, FREE of charge! Be sure to stop by the picture place before you get off the ship so you can purchase any photos you had taken. Book your next cruise before you get off the ship! You’ll often receive a discount and/or onboard credit for your next cruise! You won’t get another chance to do this so definitely take advantage of this. Don’t forget to tip your staff! You’ll receive envelopes the last night of your sailing. TIP: You can pay your gratuities with your package so you don’t have to worry about it later and you can add more into your envelope if you wish. 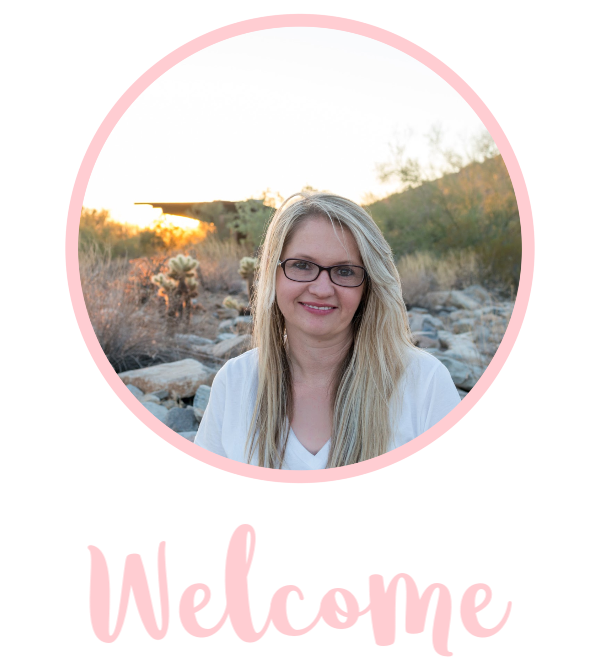 Interested in learning more about Disney Social Media Moms? Check out our post from a previous experience: Disney Social Media Moms. We loved our cruise on the Wonder. We went this last Feb on a 3 night cruise. It was the perfect cruise to start with since we were traveling with two small children. We loved it so much we booked another this October.